Unique furniture with striking and customised designs can be of great benefit to the ambience of your outdoor living space. Such unique furniture can, however, be hard to find in Brisbane and when you consider the need for furniture that will both enhance the visual appeal of your outdoor living area and withstand the harsh climate of Brisbane, the perfect solution seems almost unattainable. Here at Dean Wilson Iron we recognise that it can be challenging to find suitable outdoor furniture, so to address the needs of Brisbane homeowners, we offer a comprehensive range of services that are aimed at creating the perfect outdoor furniture solution for you. 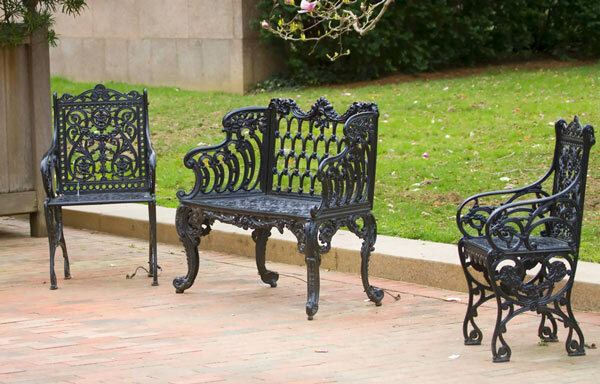 All of our outdoor furniture is handcrafted from wrought iron, which ensures a number of benefits for you. The first of these is unmatched durability. Wrought iron is extremely resilient and can be left outside without rusting – we also galvanise our wrought iron to safeguard against rust and corrosion. As well as this, wrought iron is renowned for its strength and can support a great deal of weight without breaking. Finally, wrought iron is ductile and can be crafted into incredibly intricate designs that are unique and stunning. At Dean Wilson Iron, we offer a broad range of outdoor furniture solutions and we customise all of our furniture designs in accordance with what our clients want. 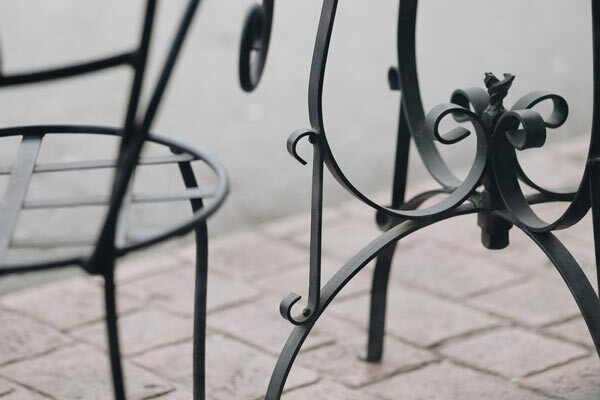 We can craft furniture to suit your exact needs and we utilise the diverse properties of wrought iron to ensure that you get the most widely applicable, tailor made furniture solutions. Given the strength of wrought iron, we are able to craft tables that are capable of supporting heavy tabletops made from granite, marble, timber or glass. We will engage with you to assess your needs and develop a design that perfectly complements the ambience of your home, and reflects your personal preferences in design and functionality. An outdoor furniture setting can have a significant impact on the ambience of your outdoor living area. Substandard, generically designed furniture settings can often make an outdoor recreational area seem uninviting and this will often be worsened by furniture that is degrading due to poor quality. At Dean Wilson Iron, we believe that your outdoor furniture setting ought to reflect your personal style – whatever that may be – and you should not have to settle for any thing less than perfect. That is why we have developed a comprehensive range of services that are centred on fulfilling your needs; we work with you to design the most suitable and best looking outdoor furniture in Brisbane. The team at Dean Wilson Iron have had a great deal of experience working with wrought iron and crafting outdoor furniture and we are aware of exactly how you can transform your outdoor area into a welcoming, elegant and designer recreational area. We strive to deliver the best, most targeted range of services to ensure that every one of our clients receives a perfectly tailored furniture solution. To achieve this, we work closely with each of our clients, to establish their needs and the design features of their home, so that we can create a wrought iron furniture collection that will perfectly fulfil all that is required of it and more. To provide our clients with the best, most personalised outdoor furniture solutions we offer a service that focuses on design and practicality. Well-designed, elegant furniture is at the forefront of most of our clients’ priorities, however we understand that you need your outdoor furniture to serve a particular purpose as well. Because of this, we strive to develop designs that are both functional and striking. We will work closely with you to explore your design concepts and we will use our expertise to make them a reality. To begin our service process, we encourage you to contact us and arrange a brief consultation in which to discuss your needs and establish precisely what type of furniture you require. At Dean Wilson Iron, we pride ourselves on customising each item of outdoor furniture that we make, to your needs. In order to effectively do this we need to first determine what purpose your furniture will serve, the type of design you would like and any other details that could help us craft the perfect outdoor furniture setting for you. This consultation is also an ideal time for you to present us with any queries you may have so that our experienced team can clarify and points of confusion for you. Once we have discussed a majority of the details with regard to your outdoor furniture requirements, our team can provide you with an approximate quote including an outline of costs. We like to provide you with a quote early in the process because we understand that you will probably want some time to consider your options and think about your furniture needs in further detail. Our initial quote can be developed based on some basic measurements and design information, which means that you won’t have to wait to receive it. Once you have assessed your options, we can finalise your design so it is ready for construction. We like all of our works to reflect your own personal preferences, which means that you will have the final say in the design of your furniture. If you are unsure of precisely what you would like, our experts have a wealth of knowledge and are well positioned to guide you through the process. We use our practical knowledge to ensure that your design will not only look great, but also maintain the upmost in strength and durability. With the finalised design, our team of expert blacksmiths can begin handcrafting your outdoor furniture products. We have been working with wrought iron for many years and possess all the expertise and tools necessary to make your ideal design a reality. Our number one priority is you and we like to keep you updated throughout the whole process, to ensure that the finish product meets and exceeds your expectations. Our team can send you progress photos throughout the build and we even encourage you to come and inspect the products in person, at various stages of completion, if it is convenient for you. If you feel that generic, mass-produced outdoor furniture simply won’t meet your needs, then contact us today. Our team of experts will happily answer any questions you may have and you can reach us by phone or you can fill out our online contact form. Alternatively, you can find photos of our work across Brisbane on Facebook and we will gladly address any of your queries there as well. #1 Can you make furniture to any size? Here at Dean Wilson Iron, customised furniture is our specialty and we pride ourselves on delivering tailored furniture solution to all of our customers. We can make a wrought iron outdoor furniture collection that is perfectly crafted to your precise specifications – whatever they may be. #2 Can I put marble, glass, granite or timber on top of my table? Each item of furniture that we create is constructed from solid wrought iron, which ensures that it will offer you the upmost in strength. 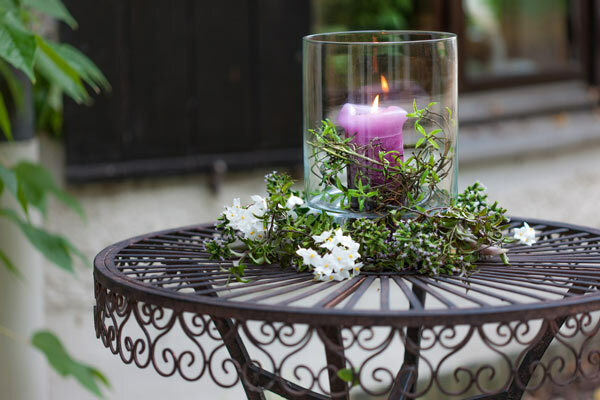 Because of its strength, wrought iron can support even the heaviest of tabletops such as granite or marble, and will offer you the stability to safely use a timber or glass tabletop – leaving you with a wide range of options. 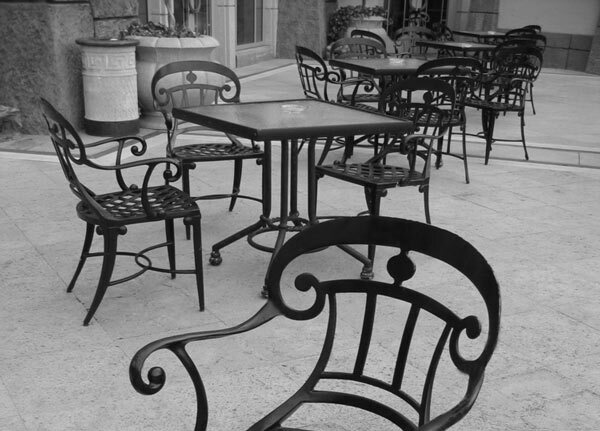 #3 How is your wrought iron furniture protected from rust? Wrought iron is a naturally durably material, however if it is not finished correctly it can rust or corrode over time. We are aware of this at Dean Wilson Iron, and we finish each item of furniture by hand to ensure that its appearance is immaculate and its durability is uncompromising. In addition to this, all of the iron we use in our handcrafted furniture is galvanised, which ensures that your furniture will outlast all alternatives and remain free from rust and corrosion for decades. #4 Will my outdoor furniture require any maintenance? At Dean Wilson Iron, we handcraft our furniture to an unmatched standard of quality and this ensures the upmost in durability. Because of its durability, your furniture is unlikely to need much maintenance and this is a distinct advantage of quality wrought iron furniture. We do, however, recommend a gentle wash with some soapy water if your furniture appears visibly dirty.